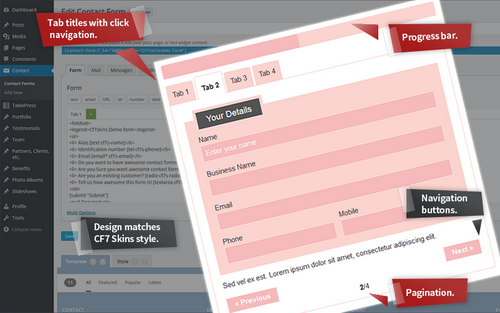 Using CF7 Skins Add-ons offers a number of advantages over using other premium WordPress form plugins. 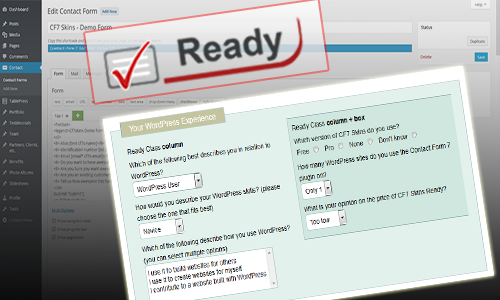 Our range of Add-ons bring the features available in other premium WordPress Form plugins directly within Contact Form 7. You can upgrade your license to a higher priced license option at any stage and only pay the price difference from your current license. CF7 Skins Pro offers a range of extra Templates & Styles for your CF7 Skins forms. Add common styling options quickly & easily to all your CF7 Skins forms. CF7 Skins Ready provides a range of useful pre-defined styles that can be used in all CF7 Skins forms. You can add a Ready Class to an individual form field or a group of form elements by simply adding the Ready Class to the surrounding parent element. In addition if you complete the CF7 Skins Ready Demo Form we’ll send you a Discount Code to use with your purchase. 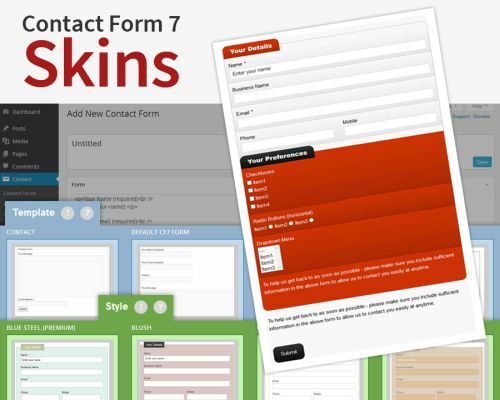 CF7 Skins Multi allows you to easily break your Contact Form 7 forms into multiple steps. 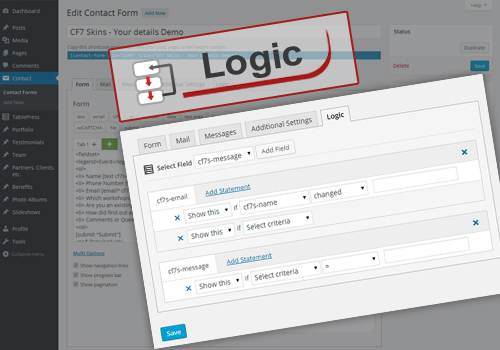 Forms can be divided where required, quickly & easily, right within the Contact Form 7 plugin interface. Conditional Logic can also be added within CF7 Skins Multi Forms.